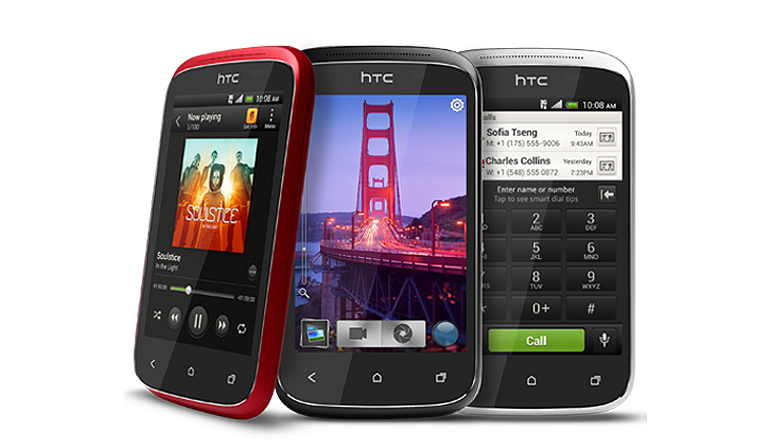 he selfie-centric AT&T HTC Desire Eye is the latest handset in HTC’s lineup to be updated to Lollipop. The Android 5.0 update is now being pushed to Desire Eye handsets across the US. The latest software comes with significant UI tweaks which are most noticeable on the phone’s lock screen and notification panel. A handful of our readers have already been able to download the Android 5. To get News of latest technologies, Gadgets and Mobiles in your mailbox, subcsribe with us. WHERE: Via conference call. The dial-in number for press is +1 (877) 616-0073 (toll-free) or +1 (816) 581-1579. Please enter confirmation code 495624. REBROADCAST: The conference call will be available as a continuous rebroadcast beginning Monday, January 27 at 5:00 p.m. PST/8:00 p.m. EST/Tuesday, January 28 at 6:30 a.m. IST through Monday, February 10 at 5:00 p.m. PST/8:00 p.m. EST/Tuesday, February 11 at 6:30 a.m. GMT. The dial-in number for the rebroadcast is +1 (888) 203-1112 (toll-free) or +1 (719) 457-0820. Please enter confirmation code 9268358. WEBCAST: Apple will provide live audio streaming of its FY 14 First Quarter Results Conference Call using Apple’s industry-leading QuickTime multimedia software. The live webcast will begin at 2:00 p.m. PST/10:00 p.m. GMT on Monday, January 27, 2014/3:30 a.m. IST on Tuesday, January 28 at http://www.apple.com/quicktime/qtv/earningsq114 and will also be available for replay for approximately two weeks thereafter. The webcast is available on any iPhone, iPad or iPod touch running iOS 4.2 or above, any Mac running OS X 10.5 or above or any PC running QuickTime 7 or later. If you do not have QuickTime installed on your Windows PC, it is available at http://www.apple.com/quicktime. CUPERTINO, California—January 21, 2014—Apple today announced iBooks Textbooks and iTunes U Course Manager are expanding into new markets across Asia, Latin America, Europe and elsewhere around the world. iBooks Textbooks bring Multi-Touch textbooks with dynamic, current and interactive content to teachers and students in 51 countries now including Brazil, Italy and Japan; and iTunes U Course Manager, available in 70 countries now including India, Russia, Thailand and Malaysia, allows educators to create and distribute courses for their own classrooms, or share them publicly, on the iTunes U app. iBooks Textbooks offer iPad users gorgeous, fullscreen textbooks with interactive animations, rotating 3D diagrams, flick-through photo galleries and tap-to-play videos. iBooks Textbooks don’t weigh down a backpack, can be updated as events unfold and don’t need to be returned. With nearly 25,000 educational titles created by independent publishers, teachers and leading education services companies, including new educational content from Cambridge University Press, Oxford University Press and Hodder Education, iBooks Textbooks now cover 100 percent of US high school core curriculum and the General Certificate of Secondary Education (GCSE) core curriculum in the UK. “We believe resources like iBooks Textbooks represent a monumental shift in learning because they engage multiple capacities of each individual student,” said Miguel Dominguez, Marketing Director of Imaxina Novas Tecnoloxias in Spain, an independent educational content developer and publisher of iBooks Textbooks, including “The Senses,” which incorporates interactive elements such as video and animated images of the human eye and ear to illustrate how the body works. With iTunes U Course Manager educators can quickly and easily share their knowledge and resources directly with their class or to a global audience on iTunes U. This free iOS app gives millions of learners access to the world’s largest online catalogue of free educational content from top schools, leading universities and prominent institutions. iTunes U Course manager also gives teachers the ability to integrate their own documents as part of course curriculum, as well as content from the Internet, hundreds of thousands of books on the iBooks Store, over 750,000 materials from existing iTunes U collections, or any of the more than one million iOS apps available on the revolutionary App Store. CUPERTINO, California―January 7, 2014―Apple today announced that customers spent over $10 billion on the App Store in 2013, including over $1 billion in December alone. App Store customers downloaded almost three billion apps in December making it the most successful month in App Store history. Apple’s incredible developers have now earned $15 billion on the App Store. The revolutionary App Store offers more than one million apps to iPhone, iPad and iPod touch users in 155 countries around the world, with more than 500,000 native iPad apps available. App Store customers can choose from an incredible range of apps in 24 categories, including newspapers and magazines offered in Newsstand, games, business, news, sports, health & fitness, travel and kids. BEIJING and CUPERTINO, California—December 22, 2013—Apple and China Mobile today announced they have entered into a multi-year agreement to bring iPhone to the world's largest mobile network. As part of the agreement, iPhone 5s and iPhone 5c will be available from China Mobile's expansive network of retail stores as well as Apple retail stores across mainland China beginning on Friday, January 17, 2014. iPhone 5s, the most forward-thinking smartphone in the world and iPhone 5c, the most colourful iPhone yet, will be available for pre-registration from China Mobile's official website (www.10086.cn) and customer service hotline "10086" beginning on Wednesday, December 25, 2013. China Mobile now has over 1.2 million 2G/GSM, 3G/TD-SCDMA, 4G/TD-LTE base stations and over 4.2 million Wi-Fi access points, providing broad coverage to quality networks for iPhone 5s and iPhone 5c customers. China Mobile is rolling out the world’s largest 4G network. By the end of 2013, China Mobile’s 4G services will be available in 16 cities including Beijing, Shanghai, Guangzhou and Shenzhen. By the end of 2014, China Mobile plans to complete the rollout of more than 500,000 4G base stations, which will cover more than 340 cities with 4G service. The collaboration between Apple and China Mobile will give a big boost to the development of China's homegrown 4G/TD-LTE technology. iPhone on China Mobile supports major cellular network standards, making a global phone a reality for China Mobile customers. iPhone 5s redefines the best smartphone experience in the world with amazing new features all packed into a remarkable thin and light design, including the Apple-designed A7 64-bit chip, all-new 8 megapixel iSight camera with True Tone flash and introducing Touch ID, an innovative way to simply and securely unlock your phone with just the touch of a finger. iPhone 5c features an all new-design in five gorgeous colours and is packed with features people know and love like the beautiful 4-inch Retina display, blazing fast performance of the A6 chip, and the 8 megapixel iSight camera—all while delivering great battery life. * iPhone 5s and iPhone 5c both offer more 4G LTE bands than any other smartphone in the world and include all-new FaceTime HD cameras. iPhone 5s and iPhone 5c come with iOS 7, the most significant iOS update since the original iPhone, featuring a stunning new user interface, completely redesigned with an elegant colour palette, distinct, functional layers and subtle motion that make it feel more alive. iOS 7 has hundreds of great new features, including Control Center, Notification Center, improved Multitasking, AirDrop, enhanced Photos, Safari and Siri. For more information on iPhone, please visit www.apple.com/in/iphone. China Mobile is the world’s largest mobile services provider by network scale and subscriber base, serving over 760 million customers. The Company was listed on the New York Stock Exchange and the Stock Exchange of Hong Kong Limited, and was recognised on the Dow Jones Sustainability Indexes (“DJSI”) for six consecutive years. China Mobile has recently launched a new commercial brand “and!”, literally meaning connect, and as the acronym of a new dream. a new dream aims to bring the world’s most cutting edge technology to Chinese customers in 4G era, reflecting the friendly, intimate, mutual trust, and harmonious relationship between China Mobile and its customers and the society. CUPERTINO, California―December 18, 2013―Apple today announced the all-new Mac Pro will be available to order starting Thursday, December 19. Redesigned from the inside out, the all-new Mac Pro features the latest Intel Xeon processors, dual workstation-class GPUs, PCIe-based flash storage and ultra-fast ECC memory. Designed around an innovative unified thermal core, the all-new Mac Pro packs unprecedented performance into an aluminium enclosure that is just 9.9-inches tall and one-eighth the volume of the previous generation. Mac Pro features 4-core, 6-core, 8-core or 12-core Intel Xeon processors running at Turbo Boost speeds up to 3.9 GHz and two workstation-class AMD FirePro GPUs that deliver up to eight times the graphics performance of the previous generation Mac Pro. * PCIe-based flash storage delivers sequential read speeds up to 10 times faster than conventional desktop hard drives, and ECC DDR3 gives the new Mac Pro up to 60GBps of memory bandwidth for seamlessly editing full-resolution 4K video while simultaneously rendering effects in the background. With an incredible six Thunderbolt 2 ports, each with up to 20Gbps of bandwidth per device, the new Mac Pro completely redefines desktop expandability with support for up to 36 high-performance peripherals, including the latest 4K displays. The Mac Pro is available with a 3.7 GHz quad-core Intel Xeon E5 processor with Turbo Boost speeds up to 3.9 GHz, dual AMD FirePro D300 GPUs with 2GB of VRAM each, 12GB of memory, and 256GB of PCIe-based flash storage; and with a 3.5 GHz 6-core Intel Xeon E5 processor with Turbo Boost speeds up to 3.9 GHz, dual AMD FirePro D500 GPUs with 3GB of VRAM each, 16GB of memory, and 256GB of PCIe-based flash storage. Configure-to-order options include faster 8-core or 12-core Intel Xeon E5 processors, AMD FirePro D700 GPUs with 6GB of VRAM, up to 64GB of memory, and up to 1TB of PCIe-based flash storage. Additional technical specifications, configure-to-order options and accessories are available online at www.apple.com/in/mac-pro. The all-new Mac Pro will be available to order starting Thursday, December 19 through select Apple Authorised Resellers. Check out the videos of our press conference, and Kaz Hirai’s opening keynote address at #CES2014. The post In a hurry? Here’s How to Read Later on BlinkFeed appeared first on HTC Blog. The post UltraPixels in Action – Presenting Oneography Taken with the HTC One appeared first on HTC Blog. The post Replace My Gift Contest Winners appeared first on HTC Blog. The post Tech Trends at CES appeared first on HTC Blog. 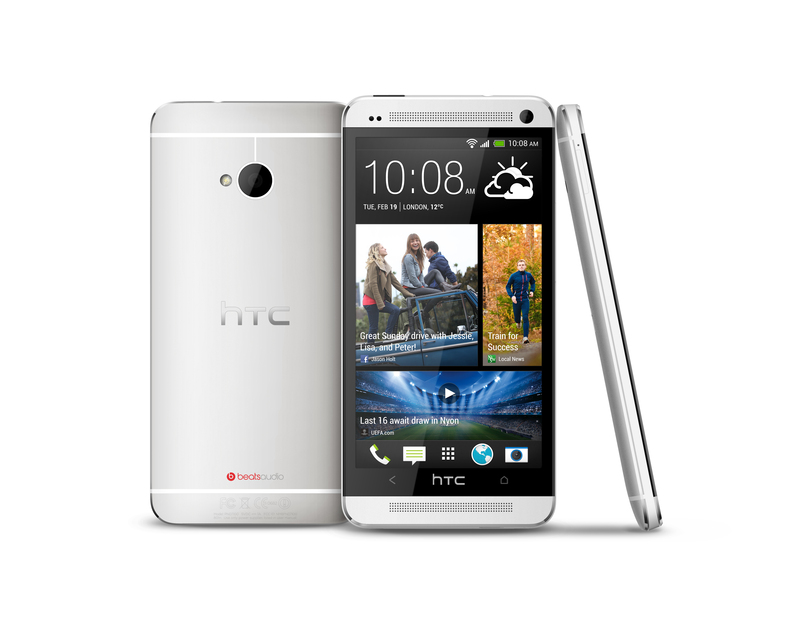 The post 2013, The Year of the HTC One appeared first on HTC Blog. Sprint, one of the only U.S. wireless carriers to offer unlimited talk, text and data, today announced that it is working with Pogoplug to add unlimited cloud storage to its suite of unlimited services. Sprint stepped up its 4G LTE rollout, announcing today the availability of LTE service in 40 more markets nationwide – for a total of 340 markets spanning the country. Last week was a busy one on the Sprint Newsroom as we shared a variety of information about the exciting new Framily plan, our No. 1 Buyback program and the introduction the World’s First Curved Smartphone. Visit the Sprint Newsroom for the latest announcements and insight. Check out some of the highlights from last week. Deutsche Telekom and Evernote are expanding their partnership to cover the 12 markets in the DT footprint in continental Europe in addition to Germany. Timotheus Höttges succeeds René Obermann as Chief Executive Officer. BrightOne GmbH's healthcare IT business to be taken over. More than 200 employees to join Telekom. Future hospital services from the cloud. Deutsche Telekom will be presenting a new modular solution for smart metering at E-world in Essen from February 11 to 13. Building on their alliance, the two companies are now joining their efforts to provide hybrid cloud services to large customers. Media Release - Remote Indigenous communities in the Northern Territory will have access to increased job opportunities thanks to a partnership with Telstra. Media Release - Telstra today announced it had acquired O2 Networks (O2), a leading Australian provider of network and security consulting and integration services for Australian enterprise customers. Media Release - As Australian small businesses set their sights high for 2014, strong business confidence paired with rapidly increasing digital disruption is creating the perfect storm for tech savvy businesses to thrive. Media Release - Telstra today announced it had entered into an agreement to sell a 70 per cent stake in its directories business, Sensis to US based private equity firm, Platinum Equity for A$454million. Media Release - Some of Australia’s best business leaders have called on consumers to start the New Year with positivity, and say thanks to their best local businesses by nominating them for Australia’s most prestigious business awards.